The Team behind the three PhoneSats, deployed April 21, have thanked radio amateurs for their response so far and they request further telemetry reports. Since the successful deployment of our three PhoneSats on Sunday, we have already received over 200 packets from Amateur Radio operators around the world! We are sincerely grateful for all of your support and would like to thank you for your key contributions in making this technology demonstration a success. The received packets are being processed right now and will be published soon. Please keep sending packets so we can follow the status of the satellites for the complete duration of the technology demonstration. 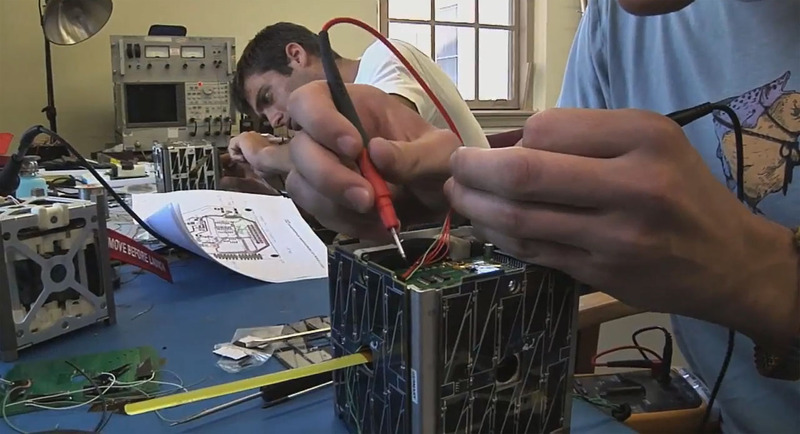 The three PhoneSats carry amateur radio payloads on 437.425 MHz. The callsign of all three satellites is KJ6KRW and they transmit using AFSK (1200 bps) modulation, AX.25 packet radio. The two PhoneSat 1.0 satellites, Graham and Bell, transmit with a periodicity of respectively 28 seconds and 30 seconds. The PhoneSat 2.0 beta satellite, Alexandre, transmits with a periodicity of 25 seconds.